The thinner version of the Coffee Truck Grab Bag, the Coffee Truck Pouch Bag is made for you if what you are looking for is a small and versatile bag with a washable lining. 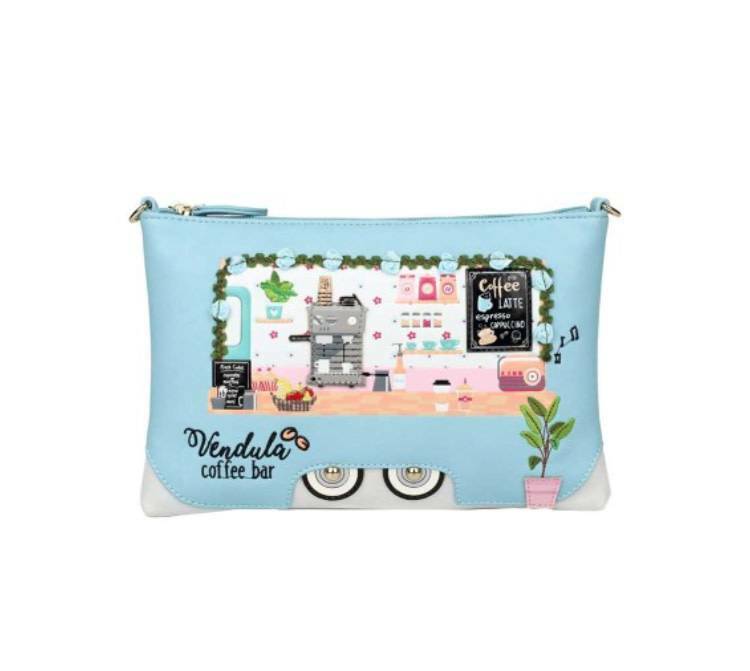 The Vendula London Coffee Truck Pouch Bag comes in a supple Vegan certified PU leather with cotton embroideries and PU details with a detachable and adjustable strap. The PU leather can be wiped clean with a damp cloth and is certified by the British Vegetarian Society. 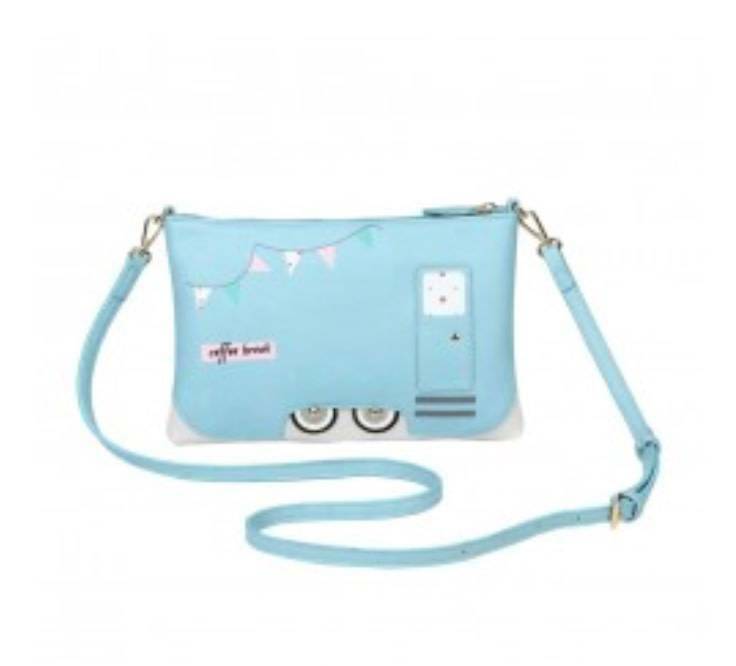 As with any of our pouch bags, it can be used in three ways - as a make-up bag, a pouch bag or a small crossbody. This little bag packs a big punch, just like your favourite coffee!